Please join us in welcoming our newest Sarasota County Green Business partner, Mangrove School of Sarasota. Mangrove School of Sarasota is an intentional school community founded by parents, teachers and friends seeking a unique, progressive education for our children. Serving early childhood through seventh grade in 2018-19, Mangrove School of Sarasota honors imagination as the heart of every child’s learning foundation to cultivate creativity, courage, confidence and contribution to the world. As a member of the Green Business Partnership, Mangrove School of Sarasota is going the extra-mile to make a difference. The school focuses on involving the students in environment and sustainable efforts, and even has nature days on Fridays. Students all used reusable lunch boxes, water bottles and wares – and this is nothing new for the school, they have been environmentally friendly for over 17 years. The school is proud of their organic vegetable garden and is looking to install rain barrels to further reduce their water usage. Green cleaning products, recycling and composting are all part of the daily operation at Mangrove School of Sarasota, making them a leading environmentally focused school in the area. 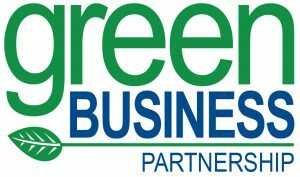 Learn more about our Green Business Partnership and apply to become a member.